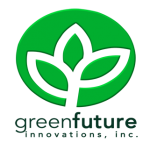 Our Company Philosophy | Green Future Innovations, Inc.
Green Future Innovations, Inc. (GFII) aims to become a world-class provider of alternative and renewable energy that is environmentally friendly In its endeavor to reduce energy on imported fuel, GFII aspires to bring about nationwide energy security and sel-sufficiency. It seeks to create rural wealth and employment by using environmentally sound technology and by maximizing local resource and manpower. GFII seeks to deliver a sustainable, low-carbon alternative with proper assessment of Natural and Ecological Conservation. Green Commitment. GFII operates a state-of-the-art bioethanol and cogeneration plant to produce alternative and renewable energy while simultaneously creating frsh opportunities for sustainable rural development. Partnering with regional farmers, its effors are focused on developing the next generation of biofuels with the enforcement of appropriate regulations pertinent to energy production from renewable feedstock and other agricultural by-products. Green Fuel. True to its green commitment and pursuant to the Philippine Renewable Energy Pan, GFII’s bioethanol plant utilizes local sugarcane resources. The plant producers anhydrous alcohol commonly called bioethanol is the “E” component in gasoline that displaces fossil fuel. The production of biofuel is the key to curtailing our reliance on foreign oil as well as rectifying the environmental impacts of energy use. Green Power. The cogeneration plant generates low-carbon alternative energy that powers up the national electricity grid to enhance energy security and sel-sufficiency. Green Future. Merging economic development and social responsibility, GFII is working towards ensuring a GREEN FUTURE for the Philippines and the world. By encouraging the aggregate use of energy crops to create various agro-industries, the cogeneration plant seeks to revitalize and improve the level of work and income among rural economies.